Ahmadullah Faizi Ahmedullah Faizi Ahmadulla Faizy was born in Kandahar City in 1983, Ahmad is the son of a distinguished Pashtun tribal elder. He grew up amid the chaos of the Mujahidin years, the subsequent Civil War and finally, the "time of the Taliban." In 2002, shortly after Al-Qaeda (Taliban) left Kandahar, he began working as an interpreter for the Coalition Forces. Since then, Ahmad has worked for every Canadian and Coalition Task Force in Kandahar Province as a cultural advisor and interpreter -- the 3rd Battalion Princess Patricia’s Canadian Light Infantry (2002), U.S. Civil Affairs (2003-2005), Task Force Aegis (2006), and Task Force Kandahar (from 2007). He has worked for five Canadian Generals. During his time working for and with Canadians and Americans, Ahmad has survived six IED (Improvised Explosive Device) attacks, been targeted and tracked by the Al-Qaeda Taliban, and lived through ongoing rocket attacks on Kandahar Airfield. He is a possessor of numerous Commander's Coins, and was awarded the Canadian Forces Medallion for Distinguished Service by Gen. Hillier, former Chief of Canada’s Defense Staff. In addition to his work with Coalition Forces and the International Security Assistance Force (ISAF), Ahmad also runs a school in Kandahar City, as well as HATA (a weekly paper focusing on education and sports) and WADAN (a daily newspaper focusing on development and education). His plans include starting an educational, community-sponsored radio station, to be called "The Voice of Malalai" - named after the historical heroine of the Afghan Wars. For safety, Ahmad still resides in the Canadian quarters at Kandahar Airfield, while the rest of his family lives in Kandahar City; his wife and two boys share the family compound with his father, mother, and older brothers. 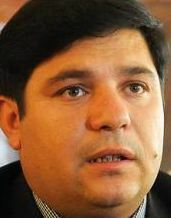 Ahmadullah Faizi speaks Pashtu, Dari and English.